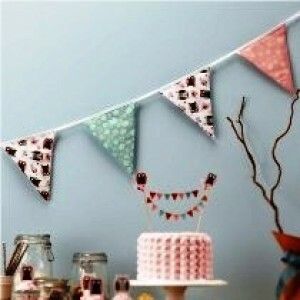 This gorgeous bunting is made of fabric and is 3.5 metres in length in 3 designs. From our stunning little hoots owl design to floral flags in pink and pastel green with flowers, this a must for any party or home! 14 flags in total. Great for decoration.